One of my favorite shows to watch is “Not My Mama’s Meals” where Bobby Deen takes his Mama’s dishes and revamps them to lower calorie, healthier versions. Since that is something I like to do as well, I feel in an odd sort of way that he and I have something in common! Since we keep getting teased for Spring by Mother Nature with some warm days here and there and my daffodils and crocus popping up, then a day or three of snow and ice….I wanted to make something that would just exude Spring. 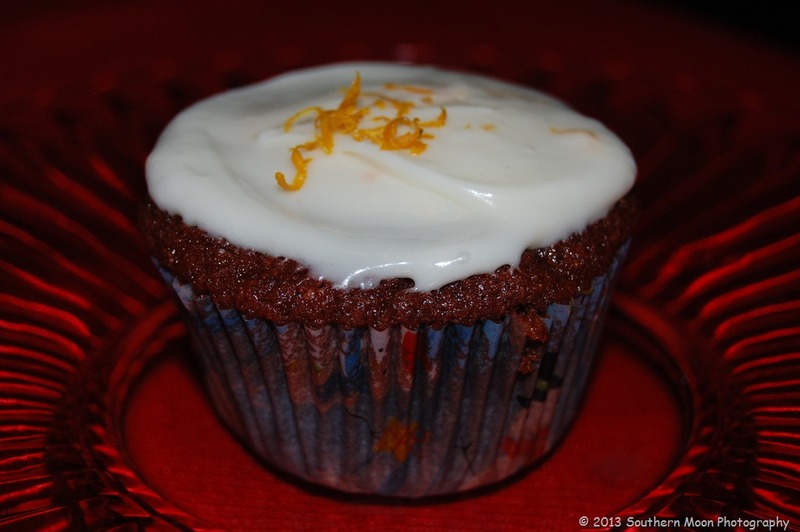 What about cheery red velvet cupcakes with that fresh taste of spring? So, here goes! Yes, I altered this even more….couldn’t help myself. Next time I think I will reduce the amount of almond extract. It was a bit much in my opinion, but still very good. And those eggs are farm fresh eggs, which as you can see, I whittled down to just 2 from 4 in the recipe. Isn’t the blue one beautiful? 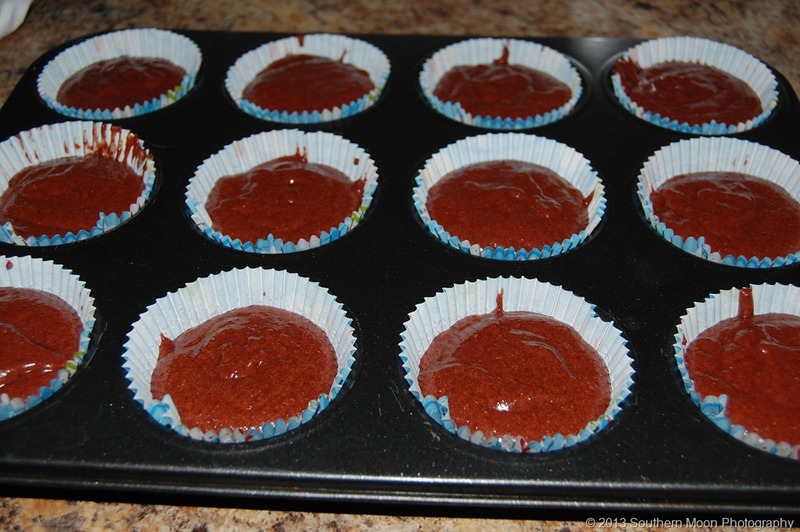 For the cupcakes – Preheat the oven to 350 degrees Fahrenheit. Line cupcake pan with liners or spray with nonstick baking spray. 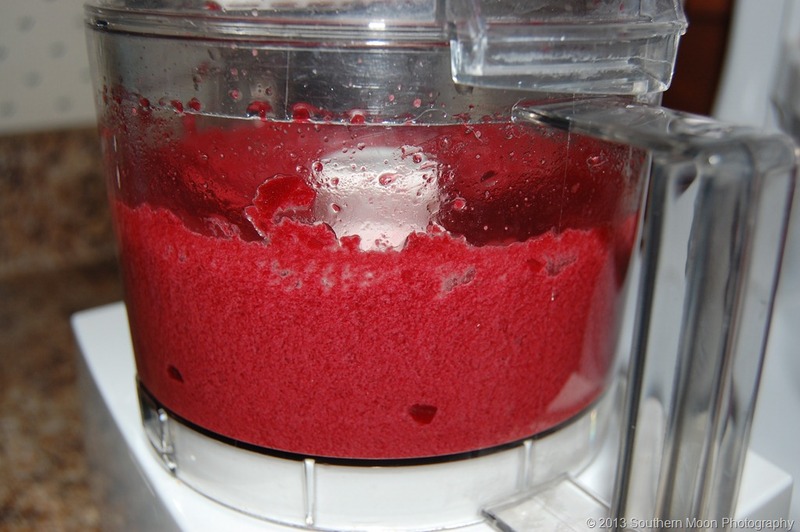 Add the roasted beets and oil into a blender or food processor. Puree until the mixture is a thick liquid. 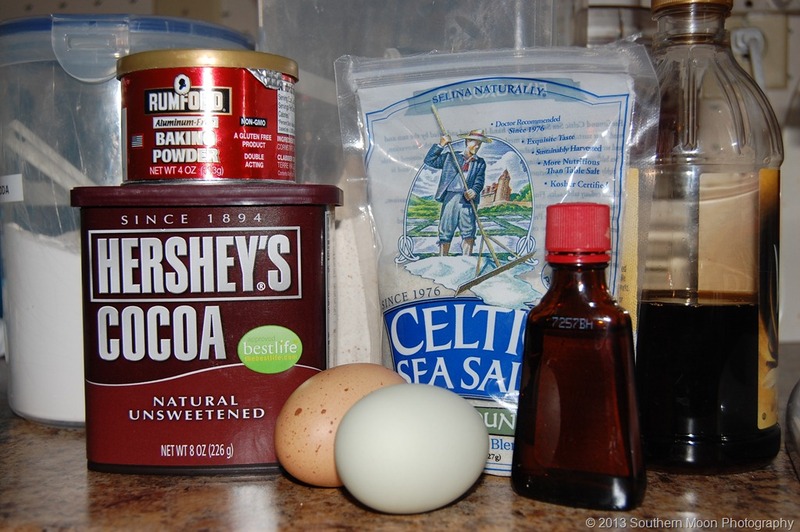 Add the buttermilk, butter, almond extract, vanilla extract and eggs, pulsing until well combined. Add the dry mixture to the wet mixture and stir/pulse until there are no lumps. Spoon the batter into the prepared cupcake pan and bake until a toothpick inserted into the center comes out clean or about 15-20 minutes. Remove from the oven and cool completed in the pan on a cooling rack. For the frosting – Using an electric mixer, beat the cream cheese on medium then high speed until very smooth, about 2-3 minutes. On low speed, add the confectioner’s sugar, sour cream, a big pinch of the orange zest (reserve enough to garnish tops later) and blend together about 1-2 minutes. 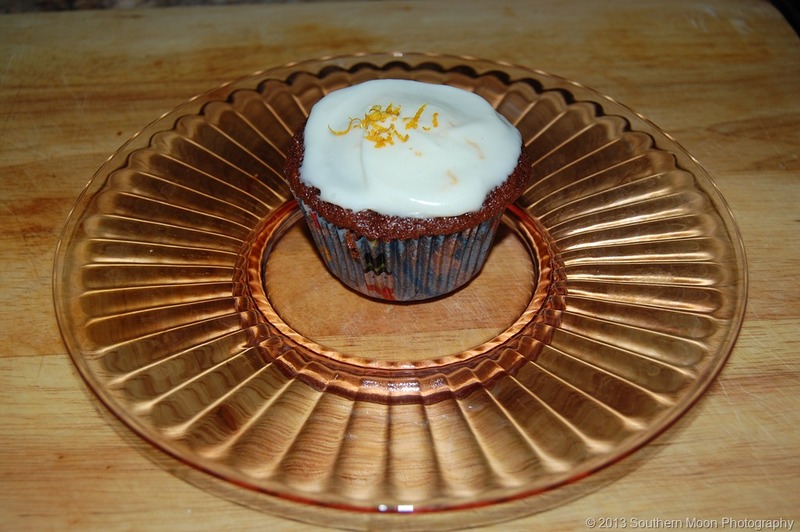 Frost each cupcake and garnish with pecans, coconut and/or orange zest. In the frosting, the sour cream was also omitted as I didn’t have any and I don’t usually add it to my frosting. And I didn’t have any coconut or pecans on hand. I also substituted some of the flour for whole wheat pastry flour. These were really good. And my husband’s co-workers got to enjoy these since I sent most of them with him to work the next day!